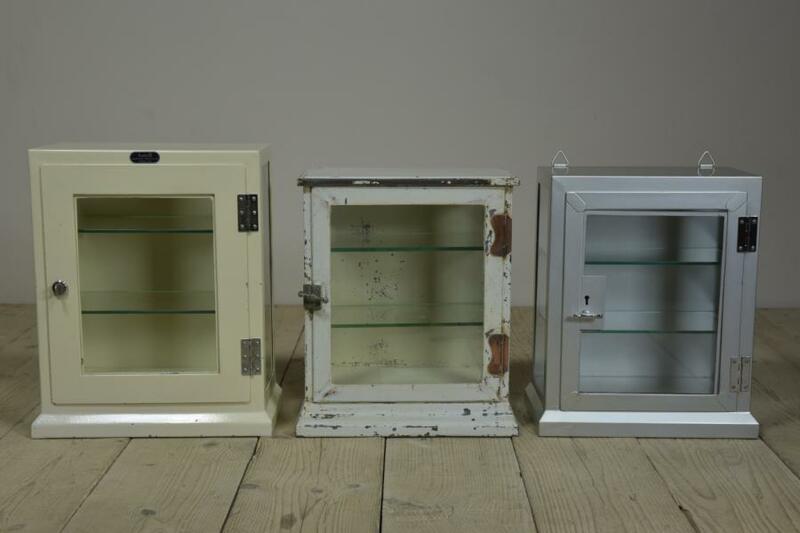 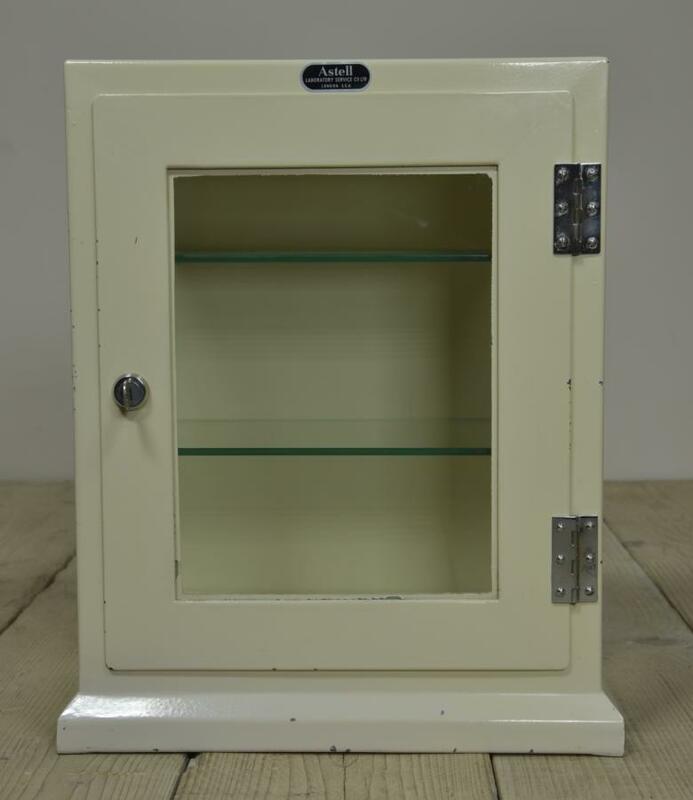 One of three small vintage steel medical cabinets currently for sale. 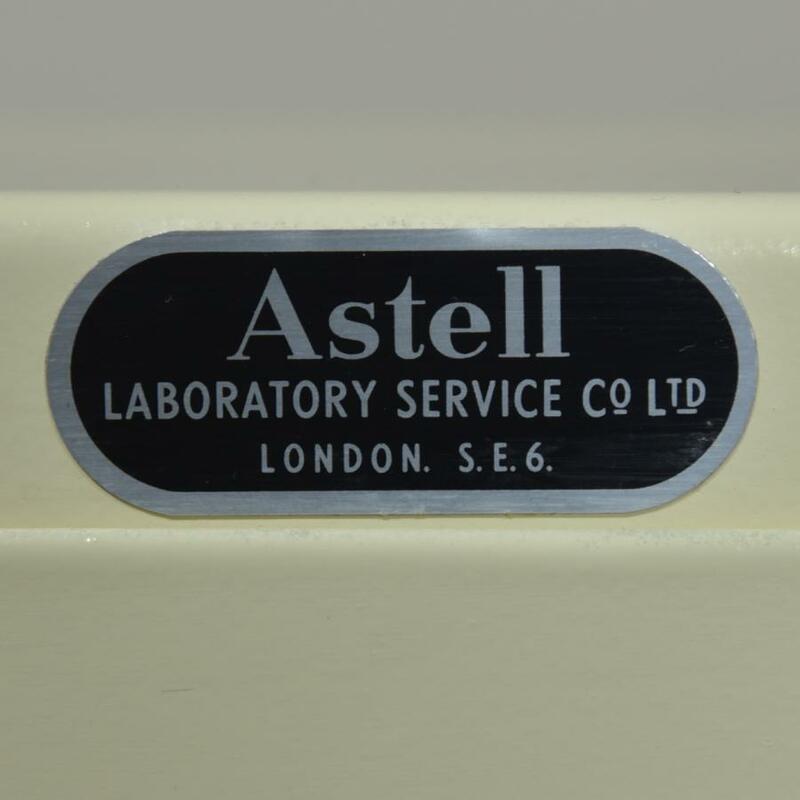 This primrosse coloured one bearing the label " Astell Laboratory Service Co Ltd London S.E.6." 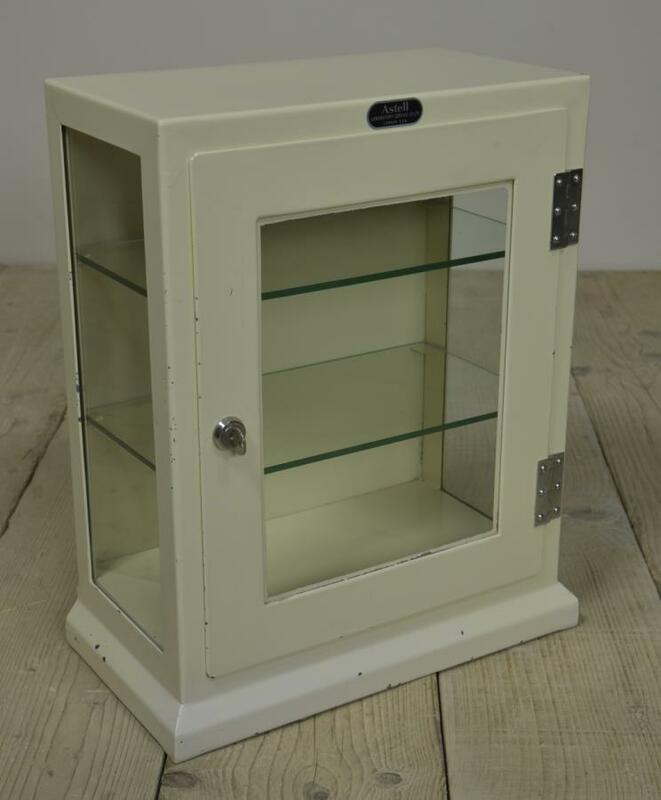 Cleaned and waxed and in excellent condition with chromed brass hinges, label, a working latch and key and 2 glass shelves (no chips) Dimensions in inches/cms; 19.75"/50cms tall by 16.25"/41cms wide by 8.75"/22cms deep For more and higher res images please see my blog which can be accessed through the news section of this (haes) website.